Pocket-friendly, sturdy, and efficient. These are the words that describe the Samsung Galaxy J7 Pro best. Because of the recent premium launches by the smartphone giant, people might have lost faith in affordable phones by them. But Samsung proved itself with the launch of the Galaxy J7 Pro. It still might be a little expensive for the price conscious lot, but, it is definitely worth what you are paying for. It is a strong competitor to the mainstream OnePlus 5 as well. It might sound surprising but it’s true. Of course, OnePlus 5 has double the RAM size, but people who are not willing to pay about 13000 bucks extra for that and some camera features, can settle for the J7 pro. Both these devices have almost similar camera quality, battery life, and connectivity. The Samsung J7 Pro is made out of metal, has a premium feel to it and has a strong build. It also has a fast fingerprint sensor. The Samsung Galaxy J7 Pro is integrated with a 5.5-inch full HD AMOLED display which bears a resolution of 1080 x 1920 pixels. It is vibrant and vivid, to say the least. The screen is protected by the 2.5D glass to prevent scratches. The text is sharp, and watching videos or playing games is fun because of the contrast. The company offers two colour variants, i.e. black and gold. The device comes with the Samsung Exynos 7 7870 Octa-processor clocked at 1.6GHz. For better graphics, it packs the Mali-T830 MP2 Graphics Processing unit. To ensure smooth functioning of the device, it has 3GB RAM under the hood. It runs on Android v7.0 Nougat. There is no doubt that Samsung cameras are one of the best in the market. This one is no different. The Samsung Galaxy J7 Pro sports a 13MP rear camera with LED flash. It comes with some interesting features like ISO control, High Dynamic Range Mode, digital zoom, auto flash, touch focus, face detection, and many other shooting modes. On the front, it has an 8MP camera. The front camera delivers sharp selfies and is perfect for making video calls as well. Both the cameras have LED flash. Hence, you can take selfies even in clubs or dark rooms. The Samsung Galaxy J7 Pro comes with ample internal and expandable storage. It has 64GB of internal storage which is further expandable up to 128GB via a microSD card. The phone gets its fuel from a massive 3600mAh battery. With normal use, it can last for almost an entire day. The Samsung Galaxy J7 Pro has ample connectivity options like 2G, 3G, 4G, Mobile Hotspot, Bluetooth, micro USB support, WiFi, and Dual SIM card slots. The phone also supports Samsung Pay. Why should you buy Samsung Galaxy J7 Pro in India? If you're looking for a Samsung mobile under 20,000, then, this is the best handset the South Korean giant has released so far in this price range. 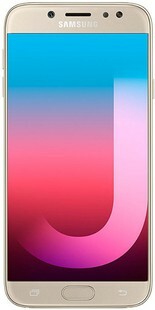 Samsung Galaxy J7 Pro full specs and reviews as of Apr 2019. Buy it here!